One of the most rewarding aspects of my work is creating work with young people and emerging writers, providing opportunities for them to develop and showcase their work as artists in their own right. I currenrly run workshops and poetry projects for young people, including extra-curricular young writers’ sessions, workshops in primary and secondary schools, and Arts Award. Skip straight to section on Arts Award. I have been delivering young people’s workshops professionally since 2013, and before that ran student workshops at both University of St Andrews and Royal Holloway, University of London. I have worked in schools across Cumbria, working with organisations such as Eden Arts, The Wordsworth Trust, and New Writing North. I also work with schools and other organisations to help them look for funding to run writing workshops for children and young people. I run workshops for KS2 right through to sixth form. I am trained to deliver and assess Arts Award at Discover & Explore levels, and I am attached to the Wordsworth Trust as an Arts Award Centre. In 2016, I facilitated over 100 pupils of Shap and Clifton Primary Schools to achieve Arts Award Discover, and worked with over 200 young people to achieve Arts Award Discover through the Wordsworth Trust. In 2017, I ran a number of workshops for New Writing North, in Monkwray Junior School, Barrow Island Community School, and St Bede’s Catholic Primary School. We learned about similes, kennings and Anglo-Saxon poetry, and the children wrote list poems about themselves, and riddles about animals. 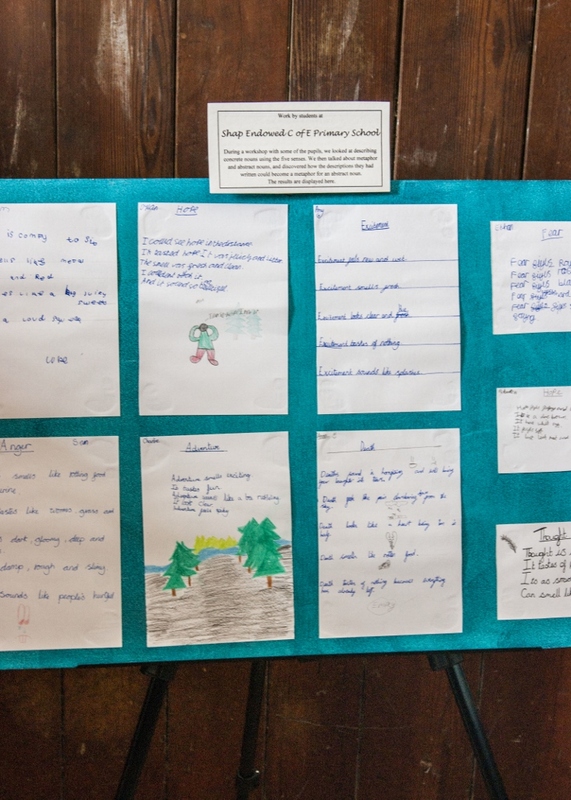 In 2013, as part of Beneath The Boughs poetry installation, I ran poetry workshops in a sixth form class of English students at Queen Elizabeth Grammar School, Penrith, and in a year 5/6 class at Shap Church of England Primary School. In the secondary school workshop, we looked at dramatic monologues and the personification of animals. In the primary school, we looked at metaphor and the relationship between concrete and abstract nouns. 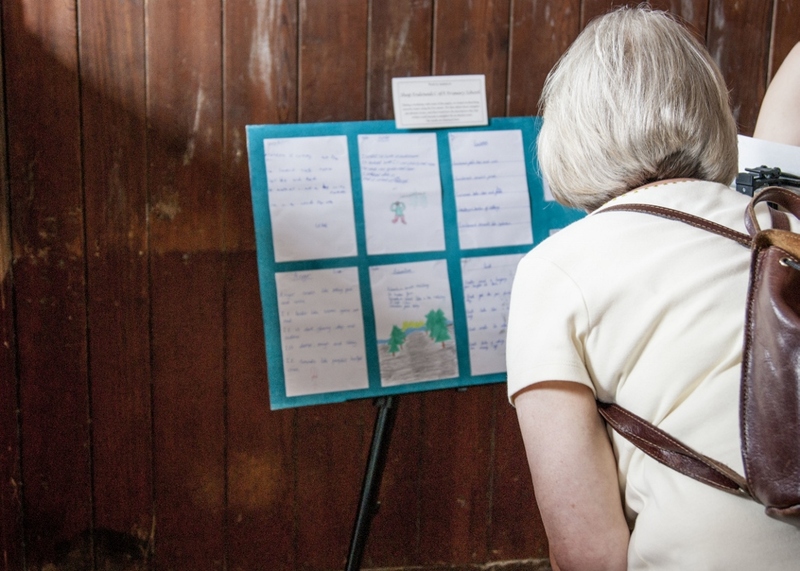 The poetry created was then displayed alongside the work of more established and emerging poets as part of the installation at Lowther Castle.